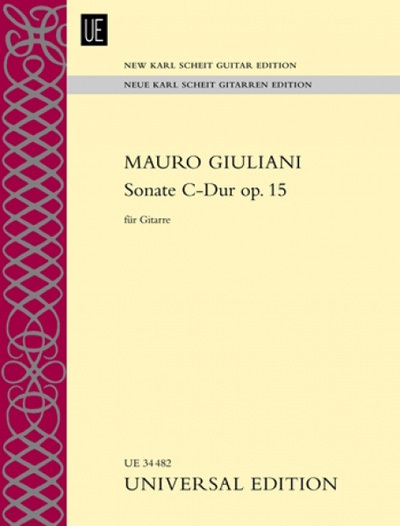 Within the first few years of his arrival in Vienna, Mauro Giuliani’s publication of his Sonata op. met the standards of the sophisticated Viennese public and with one stroke, profiled the guitar as an instrument and himself as a composer. Thus was born the three movement Sonata in C. This new edition will be of great interest to guitarists as, to this day, it remains unique in the repertoire. For advanced players.